Here's a fun new interactive resource for schools and kids -- The Green Map. Students can learn about the environmental resources in their area as they create maps of the green resources in their own communities. San Francisco Green Map designer/producer David Kupfer recently announced the release of a user-friendly interactive open source online map resource called the San Francisco Open Green Map. The purpose of the map is "to raise awareness of the incredible environmental resources and to provide examples of innovation, conservation, and sustainability in the San Francisco Bay Area. The City of San Francisco and Northern California have an incredible number of vital and essential, green movements and organizations." Kupfer says "This web service is a[n] environmental literacy holiday gift to the San Francisco Bay Area community that serves to educate and illuminate the City's environmental resources in a geographically visible and searchable database." encouraged to contribute comments, photos, and videos to each of the sites. years ago by local environmentalist David Kupfer. 17,000 San Francisco Green Maps were printed three years ago and distributed to schools, teachers, libraries, and given to citizens at various green festivals and conferences in recent years. committed to supporting the SF Green Map and Open Green Map project. Green Maps and Open Green Map. local organizations; and used for educational curriculum at local secondary schools. participating in a community of shared interests and concerns," said GIS-EC Director Suzanne Korey. resources in the region into one map. 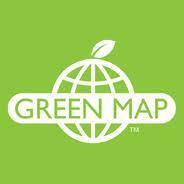 the type of opportunities offered by Open Green Map Systems." green living sites, ecological, social and cultural resources. Green Maps can guide millions of people to make climate-smart decisions. communications, leadership and organizing skills. social innovation and traditional mapping tools to engage people of all ages and backgrounds in climate-smart, healthy local activities.